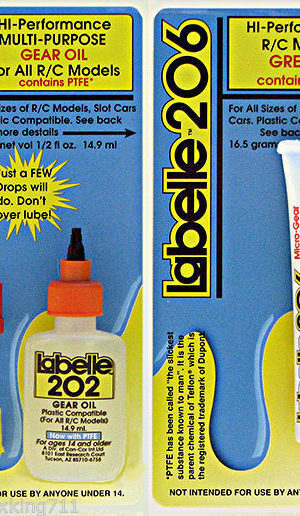 Your R/C models ( Robotics, Quad-copters, Boats and Planes) need a dependable and time tested lubricants to keep them running and maintained. 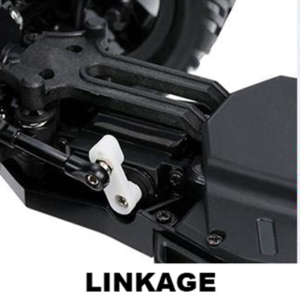 Using the wrong lube can result in failure of a part due to a lack of maintenance, or the wrong incompatible lubricant being used. 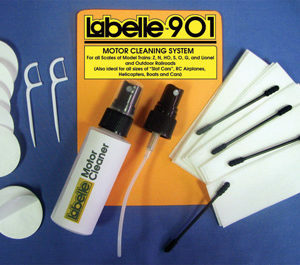 So when you are buying a lubricant for your R/C models are you just browsing the shelves of the local hardware/self service store to find something you “think” might work and be would be okay for your expensive model? 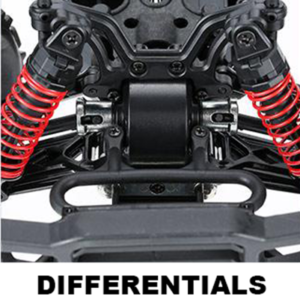 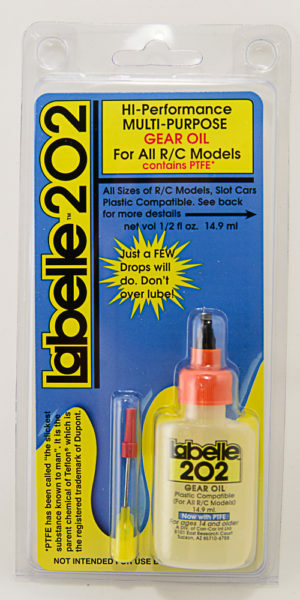 Using Labelle takes the “guess work” out of deciding which lubricants to use on your expensive R/C Models. 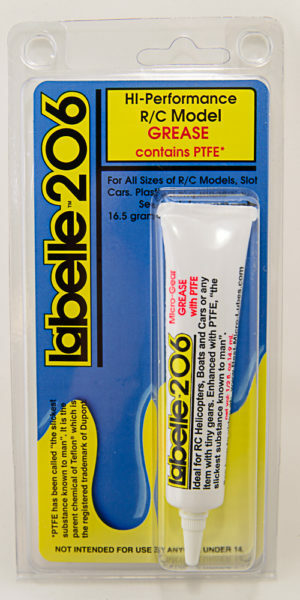 Labelle PTFE* (aka Teflon®) infused lubricants are designed for the higher temperature profile needed for R/C models, as well as 100% safe to use on plastics of all kinds. 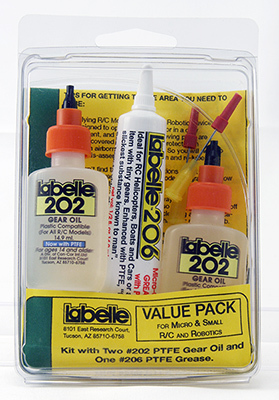 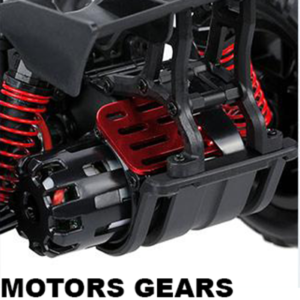 You can be confident when buying Labelle Lubes that are designed for the purpose intended as well as time tested, and will not corrode or damage plastic parts and seals of your R/C models. 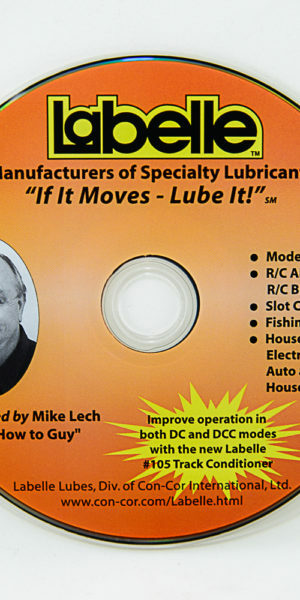 They might be a bit more expensive than a brand “X” lube found in many stores but hey, you get you paid for! 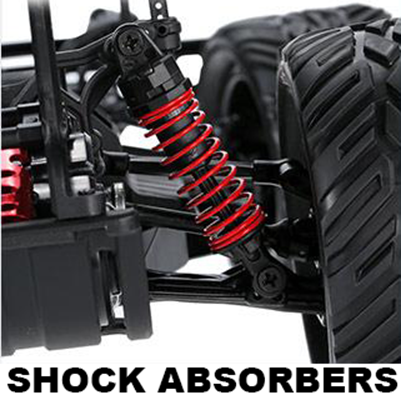 Try some today, and if your not satisfied we will refund your purchase price within 30 days of Purchase! 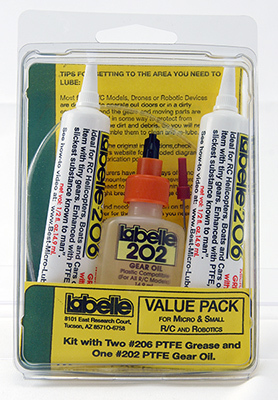 Just some of the many uses for Labelle R/C Lubricants!